News Corp.'s Fox is in fourth place, last among major networks. But with ratings monster 'American Idol' coming back, it could easily leap from worst to first. NEW YORK (CNNMoney.com) -- The calendar may say January. But now the new TV season can begin in earnest. Sure, the broadcast networks brought back most of their hit shows in September and October. But the biggest blockbuster of them all, Fox's "American Idol," has its season premiere on Tuesday. 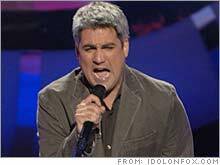 More than 30 million people tuned in twice a week to watch "American Idol" winner Taylor Hicks and other contestants last season. Fox sorely needs "American Idol" to do well. According to data from Nielsen Media Research, Fox was in fourth place in the overall prime-time ratings race, as well as in the battle for the critical 18-49-year-old demographic that advertisers crave, through the first sixteen weeks of the 2006-2007 TV season. This is familiar territory for Fox, though. The company was in fourth with 18-49-year-olds at this time last year and still went on to win the 18-49 ratings race for the second consecutive season, largely because of "American Idol." But this season, Fox is in a deeper hole. Many of its new shows, including "Justice" and "Vanished," were disappointments, and the network suffered from low ratings for this year's World Series baseball championship. Meanwhile, Walt Disney (Charts)-owned ABC and CBS (Charts) are in a dead heat for first place with 18-49-year-olds. But the big surprise is that GE's (Charts) NBC, which has finished in fourth in this demographic for the past two years, is also a contender for the number-one spot. NBC's ratings have surged this year thanks to the success of the hit new show "Heroes" and "Sunday Night Football." Fox's parent company News Corp. (Charts) acknowledges that the start to the fall TV season was weaker than it hoped for. But News Corp. believes "American Idol" could lead Fox to a third consecutive ratings victory with 18-49-year-olds. "I do think that with the quarter we just finished, we've been straightforward and public about not being happy with the results," said News Corp. President and Chief Operating Officer Peter Chernin about Fox at Citigroup's annual entertainment, media and telecommunications conference in Las Vegas Tuesday. "That being said, it's January and hope springs eternal for Fox since 'Idol' goes on the air." Several media buyers also think that writing off Fox would be a mistake since "American Idol" should come back as strong as, if not stronger than, ever. "It's going to be a big hit and will be a great place for advertisers to be. We believe that 'American Idol' is event TV and it has all the perks that go with that, high ratings and large reach. It's a water cooler event," said Jackie Kulesza, a vice president and director with Starcom USA, a media buyer based in Chicago. Due to its ratings success, "American Idol" has minted money for Fox. The network announced Monday that last season's sponsors are back: Ford (Charts), Coca-Cola (Charts) and Cingular Wireless, which is owned by AT&T (Charts). And according to figures from industry trade publication Advertising Age, Fox is said to be charging an average of $594,000 for a 30-second spot during the Tuesday editions of "American Idol" and $620,000 for a 30-second commercial on the Wednesday show. By way of comparison, the next-highest rate is said to be $394,000 for a 30-second ad airing during ABC's "Desperate Housewives." Sure, these figures may pale in comparison to the $2.6 million that CBS is charging for a 30-second ad during this year's Super Bowl. But the Super Bowl is a one-time event; "American Idol" airs at least two nights a week every week from mid-January through late May. And media buyers said that Fox was able to charge upward of $1 million for 30-second spots during last season's finale in May. Mark Fratrik, vice president with BIA Financial Network, a financial and strategic consulting firm for the media and communications industries, adds that "American Idol" helps Fox provide a lift to the network's other programming, such as the hit show "24," which is also returning in mid-January. "This is an important showcase for Fox. You can see how much how they promote it during NFL football games. It's a signature series. And it isn't just the viewership of that program that helps but the cross-promotional aspects for other shows," Fratrik said. To that end, Fox's medical drama 'House", which is set to air on Tuesday nights after Idol, averaged 12.8 million viewers a week from the start of the 2005 TV season through year-end 2005. But "House" went on to average 17.3 million viewers for the entire season thanks to an "Idol" lift. So far this year, "House" is averaging about 15.8 million viewers a week without Idol as a lead-in. Still, isn't it reasonable to think that at some point viewers will tire of amateur singers getting lavish praise from Emilio Estevez's ex-wife and scorn from a snarky British guy wearing tight black T-shirts? "At some point Newtonian physics is going to have to catch up with 'American Idol,'" said Brad Adgate, senior vice president of corporate research for Horizon Media, a marketing and media-buying firm. Adgate said the show probably will still finish in first and second place again this season, but he does not think the ratings will increase. "Getting 30 million viewers in this increasingly fractionalized media landscape is a real anomaly. I don't know how you can expect that to rise," he said. But Fox won't have to worry about going up against ABC's big hit "Dancing with the Stars" in March. The performance episodes of the fall edition of this show are the most-watched show so far this season, while the results episodes finished in a tie for third. ABC was said to be considering airing episodes of "Dancing with the Stars" directly against "Idol." ABC did not return calls for comments about this speculation. But on Sunday, the network blinked and announced that when "Dancing" returns, the performance shows would air on Monday nights and that results shows would air on Tuesdays at 9 p.m. The Tuesday "Idol" performance shows usually air at 8. One media buyer predicted that if ABC did put "Dancing" up against "Idol, " the move could backfire. "'Dancing with the Stars' appeals to a largely different [and older audience]," said Steve Sternberg, executive vice president of audience analysis with MAGNA Global, a media-buying firm, in an e-mail. "It might impact Idol's total viewer or 50+ audience, but shouldn't have much effect on its core under-50 viewers. This is much more risky for 'Dancing,' which isn't nearly as well established." At the end of the day, you may love "Idol" or hate it (I'm an unabashed fan), but there's no denying that the show has churned out legitimate superstars in the entertainment industry. Season-one winner Kelly Clarkson and season-four winner Carrie Underwood have had extremely successful music careers. You don't even have to win to do well. An album from the band led by Chris Daughtry, who was a finalist last season, debuted on the Billboard albums chart late last year at No. 2 and is currently the 11th-best seller. And Jennifer Hudson, a season-three finalist, is generating Oscar buzz for her performance in the movie "Dreamgirls." Add in the fact that the winner is based on viewer votes ("American Idol" tapped into the whole "user-generated" phenomenon well before YouTube and Time magazine), and it's easy to understand why the formula still works. People want to watch the show to see who the next big star (or stars) will be. "Anybody can make it if they're good enough and this is great family-friendly programming," said Shari Anne Brill, vice president and director of programming with Carat USA, a media-buying firm. "I really believe Fox has nothing to worry about. I don't envision a ratings downturn." The reporter of this story owns shares of Time Warner, which owns Time magazine and is also the parent company of this Web site, through his company's 401(k) plan.